On Tuesday, July 11th, Linden Lab issued an updated Terms of Service, which is due to come into effect on July 31st, 2017. As is the Lab’s usual practice, anyone logging-in to one of the Lab’s services for the first time after the new Terms have come into force will be required to accept them. As such, a read through is advisable beforehand. A restructuring of the Terms to include terms and conditions that apply to all Linden Lab products, with separate product-specific references (such as Linden Dollar and LindeX for SL) now contained within product-specific policies. The new Second Life Terms and Conditions contains all the Second Life-specific references that were previously in the Terms of Service. Reference to the Lab’s wholly owned subsidiaries, Tilia Inc. and Tilia Branch UK Ltd., have been added. These companies will be handling payment services on our behalf under certain circumstances. I first wrote (albeit somewhat speculatively) about Tilia Inc in November 2015. Minor text revisions to clarify that Linden Lab has discretion to undertake certain account actions. An updated the arbitration provision in accordance with applicable law. In addition to the updated ToS there is a new Intellectual Property Infringement Notification Policy, which I have not had the opportunity to digest, and a new Content Guidelines document; both of which also take effect from July 31st. The first of these bullet points sees the most extensive changes to the ToS, with the removal off sections formerly specific to SL, and the removal of references related to the Second Life (e.g. “inworld”) to more generic terms. These are all clearly part-and-parcel of adopting the ToS to encompass Sansar, and some of the amendments make for interesting reading – such as the definition of terms. While the blog post refers to “the Second Life Terms and Conditions”, there is no actual link to such a document at present. There is a link to the Community Standards – which are still specific to Second Life. However, it is unclear if this is what is meant by “the Second Life Terms and Conditions” – and if so, they have not as yet been updated to reflect elements of the ToS specific to SL – such as the operation of “bots” or to Skill Gaming / for profit games of chance, Linden Dollars, the LindeX, etc. Nor are the ancillary policies to Second Life listed (e.g. the Machinima policy, Mainland Policy, etc.). 10.2 – Exceptions to Requirement to Arbitrate (dispute resolution). I’ve not had time to do more than run through a rough comparison between this updated ToS and the current version (last archived via the Wayback machine in April), so my apologies if I’ve missed anything. 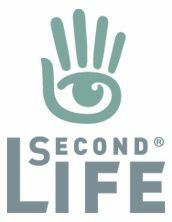 Linden Lab has issued a reminder / warning about the need for Second Life users to keep their account details secure. It comes as a result of tools such as viewer “wrappers” (third-party applications which must be launched in order to run the viewer) which effectively takes away a user’s ability to control their account. by making changes to both the account password and the e-mail address associated with the account (thus effectively preventing the user from ever recovering their account). In some cases, these viewers / wrappers may even effectively pass control of an account to another user. All of the above is not only dangerous in terms of account security / integrity – it is also against Linden Lab’s Terms of Service. The blog post carrying the warning is reproduced in full below, was issued by the Governance Team. It is designed to clarify the use of such viewers / wrappers, and provide Second Life users with guidelines on keeping their accounts secure. Please read and keep in mind. It’s recently come to our attention that there has been an increase in the use of a third-party tools that give account credentials and control over a Resident’s account to another Resident. This and similar products can change an account password and/or details, such as email address, which could prevent an owner from accessing an account, or even from being able to recover the account. We want to remind everyone that giving another Resident access to your account or account information, by any means and for any reason, is both dangerous and not permitted by the Terms of Service. An account is intended to be used solely by its creator, and keeping your account details secret and secure helps you keep it that way. Choose a secure password with upper- and lower-case letters, numbers, spaces, and symbols, and avoid common dictionary words or phrases. For instance, “password” is not a good password, but “wh4tAr g@t4P55!” is much better (though you shouldn’t use that last one either, now that all of Second Life just read it, too). Choose a secret security question answer. To keep your information extra secure, choose an answer that you will remember, but that no one else could possibly guess. For example, answering “What is your favourite vacation spot?” with “Potsdam, Pennsylvania” isn’t secure if you have that listed as an interest on your social media accounts. Answering “The Wide Wide World of Sports” might be much more secure! Keep your password and the answer to your security question secret from everyone, regardless of their relationship to you. Only you should know this information; not your significant other, family member, casual acquaintance, person with an honest look in their eye, or anyone else. Keep your password unique and special to Second Life. Reusing the same password across different platforms or websites makes your account vulnerable if one of those sites suffer a data breach. No Linden will ever ask for your password. Likewise, there is never a reason for you to enter your password to unlock an item, receive a discount, or anything else. 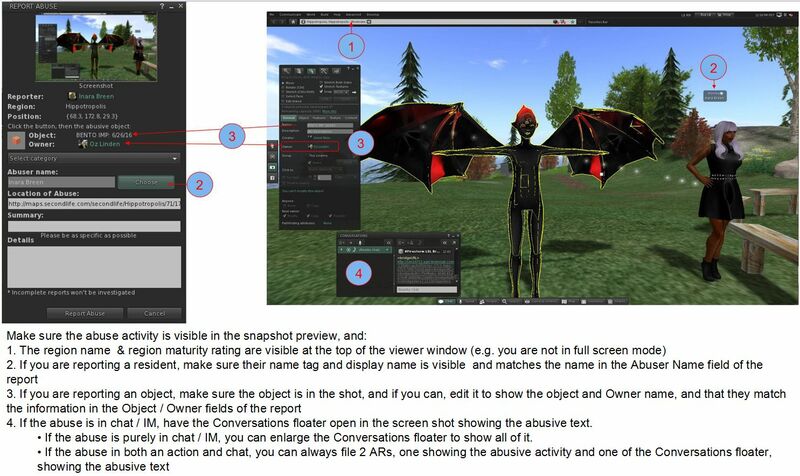 Use only the official Second Life Viewer, or a Third Party Viewer from the Third Party Viewer Directory. If the viewer does not allow you to log directly into your account for any reason, the viewer is NOT secure. If you have any problems accessing your account—especially if you believe that your password or security information may be known to anyone other than you—please contact the support team by opening a support case. Thanks for keeping your account secure! In mid-March 2017, Linden Lab introduced a new member of the board of directors via a press release. William “Bing” Gordon is a man with impressive credentials. The Chief Product Officer of Kleiner Perkins Caufield & Byers (KPCB), where he serves as an advisor and General Partner, Gordon worked with Electronic Arts for 26 years from its founding in 1982, driving the company’s branding strategy with EA Sports, developed EA’s pricing strategy for package goods and on-line games, created EA’s studio organization, and contributed to the design and marketing of many EA franchises, including John Madden Football, The Sims, Sim City, Need for Speed, Tiger Woods Golf, Club Pogo and Command and Conquer. 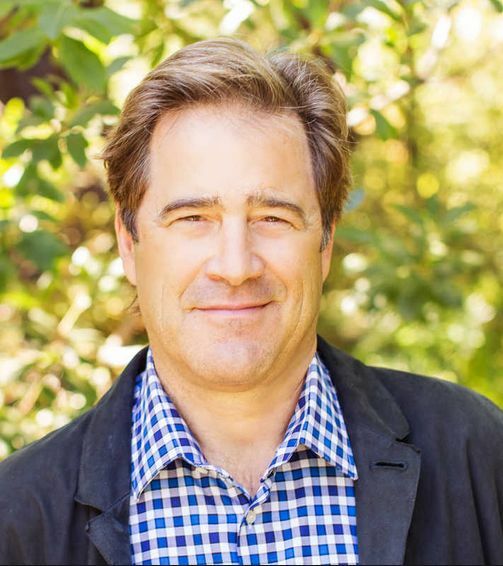 As well as EA and KPCB, he has He has served on the boards of public companies Amazon and Zynga, and was a founding director at Katango (acquired by Google 2011), ngmoco (acquired by DeNA 2010) and Audible (acquired by Amazon in 2008). One of the acknowledged experts in computer gaming, Bing Gordon was awarded the Academy of Interactive Arts & Sciences’ Lifetime Achievement Award in 2011, and he held the game industry’s first endowed chair in game design at The University of Southern California’s School of Cinematic Arts. He is a robust thinker and, unlike many in the tech industry, retains a level head when it comes to the subject of VR – in 2015, he spoke to Fortune.com about the risks involved for companies leaping into the emerging VR market. We’re honoured to have Bing join our board of directors and work with our team,” said Ebbe Altberg, CEO of Linden Lab. “He’s helped to bring to life some of the most influential entertainment experiences in recent memory, and as we prepare to open Sansar for all creators, his insights, expertise, and counsel will prove invaluable. Bing Gordon isn’t the only relatively recent appointee to the Lab’s board of directors. He joins Mark Britto, in adding his name to LL’s board. Britto is most recently the founder/chairman of Boku, Inc., a mobile on-line payments company he founded in 2009 and which now is the leading name in mobile payments, servicing 50 countries through more than 200 carrier partners. Mr. Britto also serves on the Boards of Angieslist, PayNearMe and Sonder. After starting his career in banking, Britto co-founded Accept.com, a peer-to-peer payments company which was purchased by Amazon in 1999, where it became the primary backbone of Amazon’s global payments platform. 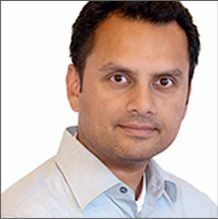 Britto himself worked for Amazon as a Senior Vice President of Worldwide Services and Sales, prior to departing the company to take over the helm of Ingenio, a communication and e-commerce platform acquired by AT&T in 2007, and more recently re-established as an independent company in May 2013. From this, it is clear that Britto has a wealth of experience in developing and managing payment services which would appear to be of particular merit to Linden Lab as they continue to operate their micro-currency systems for Second Life and Sansar, together with their Tilia Inc., subsidiary. Interestingly, Mark Britto joined the Lab’s board in August 2016. However, his biography notes only appeared on the company’s leadership page in April 2017, when it was updated with Bing Gordon’s details. Together, Mark Britto and Bing Gordon join Jed Smith, Bill Gurley and Dana L. Evan as serving members of the board at Linden Research Inc. The following notes are drawn from a presentation Governance Team manager Tommy Linden and team member Corky Linden are making to various communities within Second Life as part of an initiative to better disseminate information about the Governance Team, and on filing Abuse Reports (ARs). The hope is that the information provided will give users a better understanding of what the Governance Team hope to see provided in an Abuse Report in order to fully investigate it. What is an abuse report? What is the Governance Team looking for in a Report? What else can or should NOT be filed in an abuse report? All Abuse Reports get reviewed as the first stage of an investigation, with priority given to those seen as critical (such as an in-progress griefing attack). How far the investigation goes largely depends on whether the AR is filed against something Governance is empowered to investigate, and how much meaningful information is supplied in it. The Governance Team intentionally does not report back on the outcome of their investigations for a number of reasons. Just because the outcome might not be visible to the reporter / match their expectations when filing an AR, does not mean the report was ignored. One of the biggest issues with incoming Abuse Reports is that they often lack the basic information required in order for an investigation to be properly carried out. The Abuse Report (AR) is for reporting any individual or group of avatars or any in-world object engaged in an activity deemed inappropriate under the Second Life Terms of Service / Community Standards and/or is in contraction to the maturity rating for a region. ARs apply to: griefing, spamming, age play, assault / pushing / disturbing the peace, disclosure of personal information, fraud, harassment, indecency and Skill Gaming violations. In addition, there are Welcome Area Guidelines governing places like Infohubs, which contain restrictions on what should not be done in those areas with any violations also subject to ARs. Report. There are also certain things that do not apply to ARs. For example, being banned from a particular group or region or parcel, or a dispute over rental payment between residents are not actionable via AR. ARs can be filed by anyone suffering abuse, or by those directly witnessing an abusive act. However, this does not mean teleporting multiple people into a location and having them file reports as well. Rather than “speeding up” any investigation, it can actually slow down the entire process by forcing Governance to spend time reviewing dozens of additional (and possibly contradictory) reports. The Governance Team is looking for clear, concise and consistent information in an Abuse Report, as summaries in the image below and expanded upon in the following sections. Menu bar > Help > Report Abuse. By right-clicking on an avatar or object and locating / selecting Report Abuse from the context menu / pie menu. Make sure you have the right avatar / object selected when doing this. Launching the AR floater using either of these two options will auto-complete parts of the form. The following guidelines are intended to help with filing an AR. Where possible, try to include a screen shot of the situation you are reporting. It can be the most effective means of illustrating what is going on, and gives the Governance Team clear visual proof / evidence of what has happened. It can also make up for information missed from the rest of the report. The slide below outlines some of the key points to remember when using the AR floater to capture a snapshot – click to enlarge it in a separate browser tab for ease of reading. Note that most viewers do not have a refresh button for the snapshot preview, so try to make sure all the information you wish to capture is on your screen. If you are unable to get a screen shot for whatever reason, it is important you provide clear, accurate information in the Summary and Details section of the report (see below). The Object Picker allows you to identify an abusive object (e.g. a particle / noise spammer, a weapon, etc. ), and include its name and owner in the body of your Abuse Report. Instructions on how to use it are included in the AR floater, and this section will be auto-completed if you launch an AR by right-clicking on an abusive object. Remember you can further verify the item by including it in a snapshot with the Edit floater open to show the object name & owner. The Abuse Report floater includes a pre-defined, drop-down list of categories which should be used when filing a report. Notes on the *valid* categories can be found here. Note that filing under the wrong category doesn’t prevent a report from being investigated, but it can slow things down, particularly if there is insufficient information provided elsewhere in the report. This allows you to grab the name of someone causing abuse from those around you. If you launch an Abuse Report by right-clicking on an object or avatar, this section will auto-complete (make sure you have selected the right avatar), otherwise click the Choose button and follow the on-screen instructions. Friday, May 6th saw the third in the Lab Chat series take place in-world, featuring guests Oz Linden, the Director of Second Life Engineering, Troy Linden, a Senior Producer of Second Life and of course, Linden Lab CEO, Ebbe Altberg, in his alter-ego of Ebbe Linden. The session focused on a mix of questions submitted to an official forum thread ahead of the event, and questions taken directly from the audience, and this transcripts offers a breakdown of the questions asked and answers given. Please note that in places the audio presented has been edited to remove asides, repetition or removed inaudible elements, and so may differ in length and content to the official recordings made of the session. However, no attempt has been made to alter the content or context of the answers supplied by Ebbe, Oz and Troy. 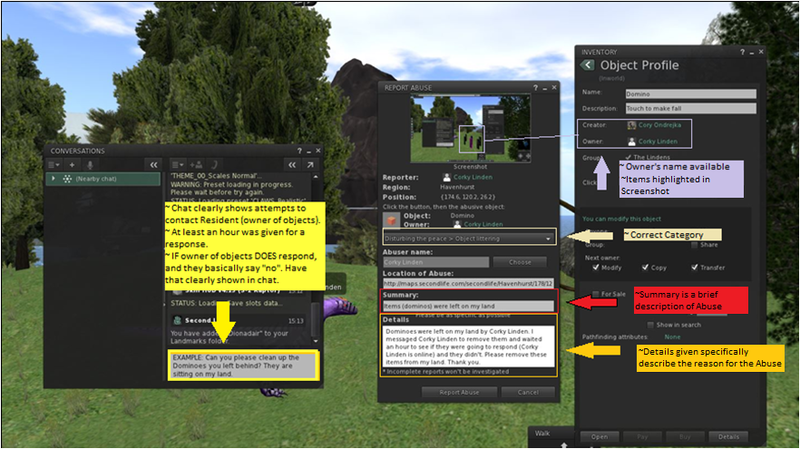 For ease of reference, the session has been split into two parts, and the following Quick links will take readers to any specific topics of interest to them, and further topics can be navigated to by either returning to this page, or using the Quick Links summaries provided within the Bento / Second Life and Project Sansar pages. Will Bento Allow Independent Joint Animation / Posing? How Many Avatars Will a Single Instance of Sansar Support? On Wednesday, March 9th 2016, Linden Lab CEO Ebbe Altberg appeared at the 2016 Virtual Worlds Best Practice in Education conference, where he gave a brief overview of matters pertaining to Second Life and Project Sansar over the course of the year since the last VWBPE conference, and to answer questions about either platform asked by the audience. The following is a transcript of his session at VWBPE 2016, complete with audio extracts. Note that note all items are given in the order they are discussed in the video of the session. For ease of reference, I’ve split comments and questions between those specific to Second Life and those focused on Project Sansar. Also, where more than one question was asked on a specific topic, I’ve grouped the questions / responses together under a single topic. Click on the links below to go to the relevant section. Thank you so much. Great to be here again; it’s an awesome event, I hope you’ve all have had great sessions and more sessions to come. I will just spend a little bit of time and just talk about what I am and what we here at Linden Lab are really excited about, and what we’re working on a little bit. Then as usual, very happy to spend most of the time actually talking to you with regards to your questions that you may have. So, first of all, wow! What an incredible year it’s been. The virtual reality market that we’re sort-of been waiting for is actually in the process of happening. We’re now seeing incredible investments from a very large number of companies, whether it’s hardware, software, platforms tools, that I’m sure many of you are very excited to get your hands on very soon. We in the Lab have been playing a lot with the latest hardware that’s going to hit the consumer market soon, over the next few months, and doing a lot of work to integrate those into project Sansar, but there’s also work to get some integration of that into Second Life. So we feel very fortunate to be having all this incredible experience, together with you all, of running Second Life. Having the opportunity to see what works and what doesn’t work, what works really well and what is not working at all, and what it takes to run a platform like Second Life. What makes creators successful, what makes businesses successful, because our primary goal here is to make creators of experiences as successful as they can possibly be, and share their success. Second Life has made a lot of good strides over the last year since we last met. Performance is continually improving, and we have some more performance improvements in the pipeline to come out soon. Quality is improving, stability is improving, and we’ve also managed to roll out some nice improvements. New avatars, and you have the new, better web control or media on prim, that’s now a really modern browser technology, which hopefully will be really helpful for educators. We also have a lot of interesting things coming in the pipeline. [An] improved registration API, so that it will be easier for institutions to bring on their customers or clients or students in a more pre-configured way: choosing what avatars they can select from, getting them set-up in the proper groups, and taking them through a whole custom on-board experience. We’ve also done a huge amount of work in what seems boring but is very, very, important to us, and even though you might not realise it, very important to you all as well, which is around compliance, and making sure that all the things we do fiscally within the Second Life virtual economy, and what it takes for people to redeem to fiat currency, US dollars or whichever currency you prefer around the world. We’re doing a huge amount of work to improve all the tools and fraud controls, etc., to make sure we’re running a clean, tight ship where there’s no money laundering or anything of that sort. We’ve gotten far enough that we’ll be able to soon improve the time it takes for people to redeem money, so we can do that in hopefully just a day or two for most people. We’ve blogged about that, so you might already know about that. So, I feel really good about the Second Life team. Just a few weeks ago we had the whole team together in Seattle. We keep switching spots; sometimes we do it in Boston and this time we did it near the offices in Seattle. And it’s a very tight group, they are very passionate about Second Life, with Oz heading-up on the engineering side, and just a great, tight crew who really just want the absolute best for Second Life and for you all. So I feel very good with what that team has been able to do over the last year, and what they’ll be able to do in the coming years. Some cool things coming in addition to the registration API. We have a way for, institutions that have had interruptions of viewer updates when it wasn’t something they were completely prepared for can now sign-up to be on an EDU channel, where we can better manage viewer updates. We’re working on an update to get the current Oculus viewer working with Second Life, and we’re also working on this Quick Graphics viewer (version 4.0.2.311103 a the time of writing), so that you can manage when people show up in your regions with way too much clothing or too heavy of an avatar and still get good frame rates within your regions if there are avatars that are too heavy.1 Those will all roll out over the next weeks and months.